A Late Spring Flowering Tree well suited for the Hudson Valley. Ivory Silk Tree Lilac produces large plumes of snow white flowers. 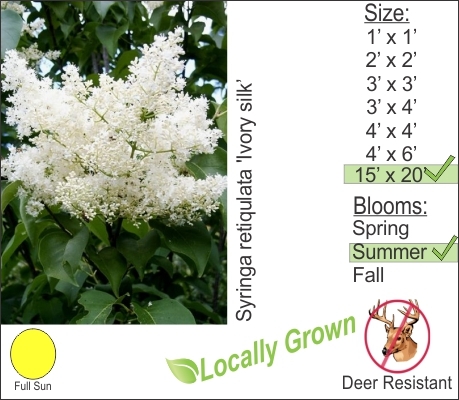 This tree is considered a smaller growing tree and will not grow large like Red Maples or Red Oaks. You can plant tree a minimum of 10-15 ft. from you home.